After three games without a win, Torino will make the short trip to Bergamo on Sunday afternoon in search of a much-needed victory. The Granata were very unlucky not to get all three points against Udinese on Wednesday, and two players who were rested for that match - Alessio Cerci and Rolando Bianchi, are almost certain to return to the starting eleven. Migjen Basha impressed in midweek, and could keep his place in midfield, whilst Salvatore Masiello could also return at left back. Atalanta have won two of their five matches so far this season, including a shock 1-0 victory over AC Milan at the San Siro two weeks ago. However, they lost 2-1 to Catania in their last match, and star striker German Denis is struggling to recapture last season's form - having only scored once so far this campaign. Torino hit the woodwork an incredible three times during this match, but they could not find a breakthrough against Udinese. The home side made a number of changes from the team that earned a point at Sampdoria, as Valerio Di Cesare made his Serie A debut, whilst Danilo D'Ambrosio, Alen Stevanovic, Migjen Basha and Gianluca Sansone also came into the eleven. Alen Stevanovic, who has struggled to replicate the form he showed last season, came close to opening the scoring, but his powerful shot from distance went over the crossbar. Toro came even closer minutes later, as Migjen Basha almost scored a spectacular half-volley from 30 yards, but his effort hit the crossbar. Udinese, who chose to rest talisman Antonio Di Natale, were not creating many chances - but in the second half, Valerio Di Cesare did well to intercept a dangerous cross from Willians. At the other end, Toro were continuing to look threatening, and Gianluca Sansone came so close to scoring his first goal for the club, but his left footed volley also hit the crossbar. The Granata brought on captain Rolando Bianchi and Mario Santana as they went searching for a deserved winning goal, but once again Toro were denied by the woodwork for an incredible third time. Riccardo Meggiorini and Mario Santana combined well on the edge of the area, and the Argentinean unleashed a fierce left footed shot that rebounded off the post. In the dying seconds, Torino almost lost the game as Andrea Lazzari's corner found an unmarked Mehdi Benatia, but his header was straight at Jean-Francois Gillet and the game ended goalless. 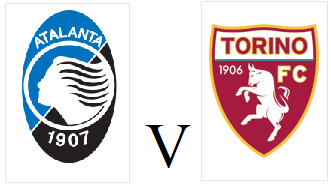 Whilst Torino's defence is looking strong in the early weeks of the season, the fact they have failed to score in three of their five matches is a worry, though they will hopefully re-find their scoring boots at Atalanta on Sunday. 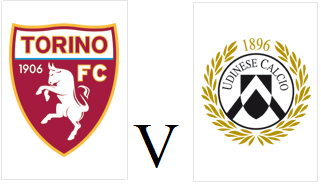 Torino return to action on Wednesday evening as they face last season's surprise package Udinese at the Stadio Olimpico. Danilo D'Ambrosio could be in line to replace Salvatore Masiello at left back and make his first start of the season, whilst Uruguyan defender Guillermo Rodríguez could finally make his debut. At the other end of the pitch, Alessio Cerci should keep his place after impressing against Sampdoria, although Gianluca Sansone or Alessandro Sgrigna could replace Riccardo Meggiorini upfront. Udinese once again shocked the Calcio world by finishing in third place last season, but they have made a disappointing start to this campaign, and have already been knocked out of the Champions League. However, the Zebrette picked up their first victory of the season against AC Milan on Sunday, and therefore seem to be returning to form. Veteran striker Antonio Di Natale scored the winning goal in that match, but at 34, he finds it difficult to play three times a week and therefore he may be rested for this match. It was the tale of two penalties at the Stadio Luigi Ferraris, as Nicola Pozzi's late spot kick denied Torino all three points on Sunday afternoon. The Granata made three changes from the side that was defeated by Inter last weekend, as Giuseppe Vives, Alessio Cerci and Riccardo Meggiorini were included in the starting eleven. The poor pitch was proving difficult for both sides in the early stages, but Torino almost gifted the home side a goal as an error from Kamil Glik put Maxi Lopez through on goal - but his tame shot was easily saved by Jean Francois Gillet. Sampdoria continued to have the upper hand, and former Juventus player Enzo Maresca came narrowly close to opening the scoring, but his curling free kick rebounded off the crossbar. Toro's Belgian goalkeeper was certainly earning his money in this game, and he produced another fine save just before half time to deny Samp skipper Daniele Gastaldello. Toro had more of the ball in the second half, but were still finding it difficult to create clear-cut chances, and were being limited to long range shots. However with twenty minutes remaining, Torino were awarded a penalty after Alessio Cerci was upended by Roberto Soriano in the area. Rolando Bianchi (who had missed his last spot kick against Pescara) stepped up to take the penalty and this time made no mistake and gave Toro a somewhat undeserved lead. That looked as if it would be enough for Toro to earn their second victory of the season, but with six minutes remaining, Kamil Glik rashly brought down substitute Eder in the area, and the home side were given a spot kick of their own. Fellow substitute Nicola Pozzi converted the penalty, and there was still time left for both sides to find a winning goal. Sampdoria twice came close to taking all three points, but Jean Francois Gillet continued to perform heroics in the Torino goal. First he reacted quickly to prevent Angelo Ogbonna putting the ball into his own net, and then in the dying seconds, he made another excellent save from Eder's long shot to earn Toro a point. 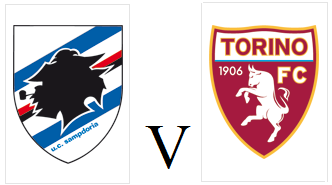 Torino will be looking to bounce back against Sampdoria on Sunday afternoon, after suffering their first defeat of the season at home to Inter last time out. The Granata's central midfield looked a little weak against the Nerazzurri, and therefore Giampiero Ventura may decide to line Toro up in a 4-3-3 formation, as he did in their last away game against Siena. If the formation does change, we could see Alessio Cerci, Giuseppe Vives and Gianluca Sansone come into the starting eleven. Fellow newly promoted side Sampdoria have made an extraordinary start to the season, winning their opening three matches, including a shock 1-0 victory at the San Siro against AC Milan. Maxi Lopez, who was a transfer target for Torino in the summer has already scored three times for his new club and is certainly Sampdoria's danger man. Fellow new signing Enzo Maresca, who is disliked by all Torino fans after he mocked Marco Ferrante's trademark celebration in the derby ten years ago, is expected to retain his place in midfield for the home side. Toro have fond memories of the Stadio Luigi Ferraris, as it was the scene of one of their most impressive victories in last season's promotion campaign, a 2-1 victory with goals from Sergiu Suciu and Rolando Bianchi - a repeat of that scoreline would be most welcome. Torino tasted defeat for the first time this season, as quality finishes from Diego Milito and Antonio Cassano gave Inter a 2-0 victory on Sunday evening. The Granata were unchanged from the side that beat Pescara 3-0 two weeks ago, as Alen Stevanovic was once again preferred to new acquisition Alessio Cerci on the right wing, and after scoring his first ever Serie A goal, Alessandro Sgrigna kept his place upfront. After a quiet start, the away side took the lead on thirteen minutes when a loose pass from Alessandro Gazzi fell to Diego Milito on the edge of the area, and the Argentinean striker struck first time with a powerful shot into the bottom corner. The home side were struggling to create goalscoring opportunities, although defender Angelo Ogbonna did test Inter keeper Samir Handanovic with a shot from 25 yards. At the other end, Toro keeper Jean-Francois Gillet made a great save to deny Wesley Sneijder, whose long rang free kick had looked goalbound. 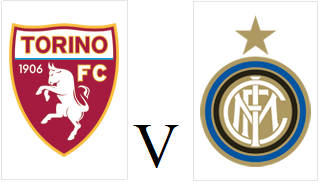 Torino nearly got an equaliser in bizarre fashion, when Japanese defender Yuto Nagatomo (under pressure from Rolando Bianchi) passed the ball towards his own goal, but Handanovic reacted quickly to keep Inter in the lead at half time. On the hour mark, Giampiero Ventura made a double change as Alessio Cerci and Riccardo Meggiorini came on to replace the ineffective Alen Stevanovic and Alessandro Sgrigna. And the substitutes almost made an immediate impact as they combined to good effect to create a chance for Bianchi, but he was unable to get any power behind his shot. Toro had their best chance of the match minutes later, when Meggiorini produced an inch-perfect pass to strike partner Bianchi, and although the Torino captain hit his volley low and hard, he was somehow denied by an instinctive (some would say lucky) save from Handanovic. The home side were now finding chances easier to come by, and an exquisite through ball from Angelo Ogbonna found Riccardo Meggiorini in space, but the former Inter striker could only find the side netting. However, with seven minutes remaining, Inter put the result beyond any doubt, as Ricky Alvarez's low cross found its way to fellow substitute Antonio Cassano, who finished cooly past a helpless Gillet. Despite losing, Torino did show some promising signs,and with some winnable games on the horizon, it will hopefully not be too long until Torino return to winning ways. Torino return to Serie A action after a two week break with a home game against Champions League hopefuls Inter on Sunday night. The Granata come into the game in good form, after beating Pescara 3-0 a fortnight ago, whilst Inter lost 3-1 at home to Roma in their last outing. Torino may revert to a 4-3-3 formation that was so successful against the so called 'bigger' teams last season, and that could lead to Alessio Cerci starting his first game for the club. However, Toro will be without fellow new signing Valter Birsa who picked up an injury whilst on international duty with Slovenia in midweek and is expected to be out for three weeks. Opponents Inter have had a mixed start to the season, with one victory and one defeat from their opening two fixtures. Andrea Stramaccioni's side is much-changed from last season, and they should line up in a 4-3-1-2 formation, with play maker Wesley Sneijder just behind strikers Antonio Cassano and Diego Milito. The history books certainly favour Inter, as Torino have not beaten the Nerazzurri since February 1994, when goals from Paulo Poggi and Sandro Cois gave the Granata a 2-0 victory. Torino secured their first victory in Serie A for three years after a convincing 3-0 victory over newly promoted Pescara on Saturday evening. The Granata lined up in Giampiero Ventura's trademark 4-2-4 formation with Mario Santana and Alessandro Sgrigna coming in to make their first starts of the season. New signing Alessio Cerci, who was suspended for the opening game of the season at Siena, started on the bench. The home side began the game brightly, and Kamil Glik's long ball from the back found Alessandro Sgrigna in space, but his shot from an acute angle was easily saved by Mattia Perin. The key moment of the match occurred just before the half hour mark, when Rolando Bianchi was brought down in the area by Pescara defender Christian Terlizzi. Terlizzi was sent off for the foul, but Rolando Bianchi was unable to take the opportunity to give Toro the lead, as his penalty was brilliantly saved by Perin. That penalty was the first spot kick awarded to Torino in over a year, so Bianchi perhaps had an excuse for failing to convert it. However seven minutes later, Torino did take the lead when Alessandro Gazzi's lofted ball was expertly headed into Alessandro Sgrigna's path by Bianchi, and the 32 year old volleyed home to score his first ever Serie A goal. Sgrigna should have doubled his tally minutes into the second half, but this time he was denied by the legs of Mattia Perin, who was impressing in the Pescara goal. However, the former Vicenza striker was heavily involved in Torino's second goal, as he cut the ball back for Matteo Brighi to score his first goal for the club. Ten men Pescara were struggling to cope with Torino's attacking movement, and three minutes later, captain Rolando Bianchi made amends for his missed penalty by heading home Salvatore Masiello's fine cross. Alessio Cerci came on for the last twenty minutes to make his debut for the club, but by that stage the game was already over as a contest, and Toro had secured an impressive first victory of the season. Torino had a busy afternoon on Friday evening as they added three players to their squad for the upcoming season. The Granata's first acquisition was eighteen year old Marko Bakić, who has moved to Toro from FK Mogren in his native Montenegro. Bakić has signed a two year contract at the club, and despite his tender age, he has already been capped by the Montenegro national team. Toro also secured the signing of experienced left back Alessandro Agostini from Serie A rivals Cagliari, who will compete with Salvatore Masiello and Pablo Caceres for that position. Incredibly, despite making nearly 400 league appearances in his career, Agostini has never scored a senior goal - hopefully he can rectify that at Torino. And finally, Torino have also signed Slovenian winger Valter Birsa on loan from Genoa until the end of the season. Birsa impressed many at the 2010 World Cup, and has scored three goals in 55 appearances for Slovenia.